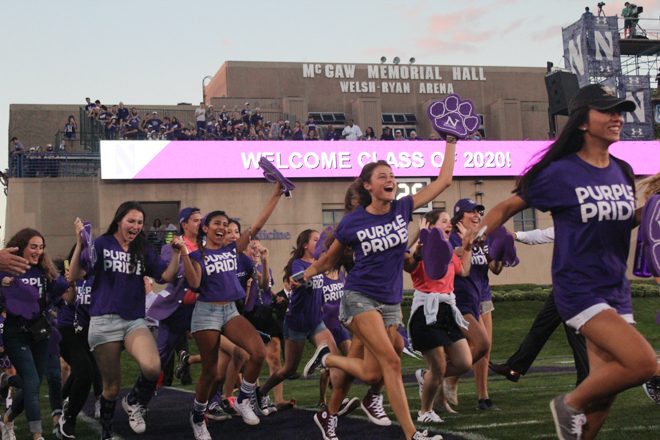 After months of deliberation by the Wildcat Welcome Board and the office of New Student and Family Programs, reporters have been tipped off that the dance song for the Northwestern class of 2021 will be the penny whistle solo from Titanic. A member of the board, who asked to remain anonymous, told the Flipside that the board had hoped to keep the song selection a secret a bit longer, but confirmed the rumors earlier today. The inspiration for the song choice came from a viral video of Dererk Pardon’s game-winning layup against Michigan, which was set to Celine Dion’s hit song My Heart Will Go On. It has also been rumored that the board may be holding auditions for a penny whistle player the lead the army of awkward and purple-clad freshman onto Ryan Field during halftime. Flipside reached out to a local prospie for comment, but was met with wordless, wide-eyed disbelief instead.